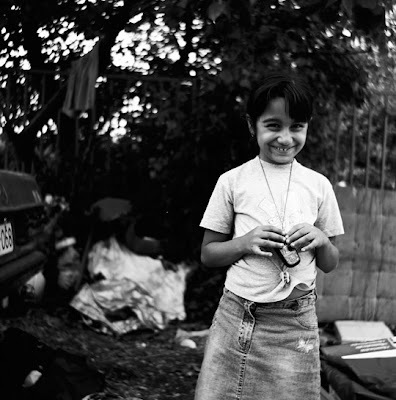 Throughout current travels in Eastern Europe, I visit different communities photographing children of gypsy families. These children happily spend their days begging and rummaging through garbage bins to earn enough daily income for their parents. The Buvljak flea market in Belgrade Serbia, is a huge community market where gypsy families sell all sort of collected items- whether from the street or deceased estates. The children are found at most of the stalls running the business. Meanwhile the younger children are playing with broken toys whilst dressed in baggy adult clothing. My photography aims to capture the innocence and joy of the children who are brought up in a cycle of struggle and lack of opportunities. Gypsy life in Eastern Europe remains as a lifestyle of struggle, untouched by government or humanitarian assistance. 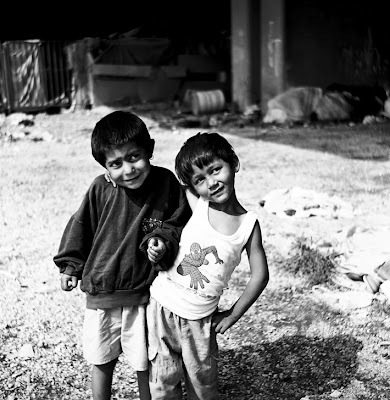 This photo was taken in Belgrade, Serbia after a visit to the Buvjlak flee market. This neighbourhood took me back by surprise- known as commision style housing, the architecture is incredible. 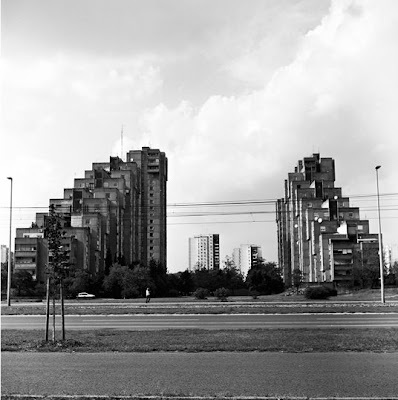 The buildings for some reason, play with one another, with progressive shapes which compliment eachother. There is alot of space, yet the buildings are so congested with apartments. 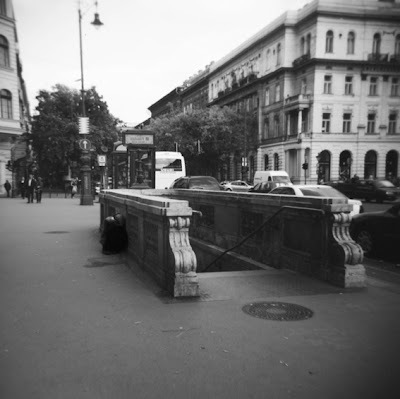 A person walking on the street feels so desolate. I felt like I was in Lego land from an ants point of view. I like the negative space in this photo. 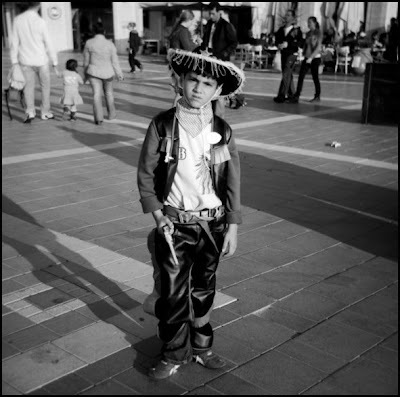 I was roaming the streets of Israel in March 2007 with my Holga camera when I noticed the celebration of the day; Purim. Purim is the day of the year where kids dress up in fabulous costumes. The connection of the toy camera and the feel of the festival inspired me to photograph these modest kids. I came across this cowboy and after getting permission from his mother, I asked him for a photo. I wasn't sure if he was embarrest or proud of just over the idea of dressing up. There was always a question in my mind about whether the children dress up for their parents or do they dress up for their own enjoyment of fantasy. I'm still not quite sure. Either way, I shot this photo with an expired roll of Kodak T-Max, and I was happily surprised by the outcome.